To create the ideal circumstances for PCA, the process takes place in gray surroundings that will have the least possible influence on your own colouring. This includes the room colour, the cape that covers your clothing, and the scarf that may be used to cover your hair, especially if it contains chemical colour. Draping is a process of placing two fabrics in known colours across your shoulders and comparing the effects. The analyst will work stepwise through 30 to 50 comparisons, taking note of changes in facial contour, clarity and smoothness of skin, and many other observations regarding your features. Together, you work as a team, eliminating some Seasons in favour of others, until you arrive at the final Season. Next, the analyst will demonstrate how to use your palette to make purchase decisions, in a process known as harmonizing. They may also demonstrate how to swatch cosmetics, jewelry, or any other item, using the same process. If you have clothing or other items to test with your Season, this is the time to discuss how they will work within your future wardrobe. Cosmetic application, if desired, may be comprehensive or include blush and lip colour only, which can be discussed with the analyst. Many analysts stock testers of the 12 BLUEPRINTS cosmetic line in colours that correspond to the 12 Seasons. The drapes will be viewed once again so that you may fully appreciate the beauty and synergy of a harmonious appearance. When every colour supports every other, including clothing, cosmetics, and hair colour, you will recognize yourself in a new way and discover the colour harmony that is in you. Take charge of the image that you project… and enjoy the freedom and artistry that come with creative control of your appearance. Chrysalis Colour is an initiative of 12 BLUEPRINTS. We combine the training methodologies of two PCA powerhouses: Christine Scaman of 12 BLUEPRINTS and Terry Wildfong of Your Natural Design. These instructors work closely together, ever since Terry trained Christine in the Sci\ART system in April, 2009. Their courses are carefully designed so content and approach correspond. As a result, the courses combine Terry’s 25 years of PCA experience – which includes in-person training with Kathryn and becoming Sci\ART’s first certified trainer – and Christine’s 23 years as a practicing veterinarian, with similar methods and safeguards for decisions that doctors use for diagnosis. Our community of analysts maintains the highest standard of accuracy in PCA. Our method is rigorous, in-person, and comparison based. We believe that correct Season can only be known by evaluating undertone and overtone in person. Neither cameras nor computers can approach, let alone replace, the human sense of sight. Therefore, we do not test from appearance overview, photographs or video, believing the built-in error to be too high. Our analysts all use the same stepwise process, in neutral gray surroundings and with full spectrum lighting. Chrysalis Colour analysts use Test and Luxury Drapes created by 12 BLUEPRINTS. 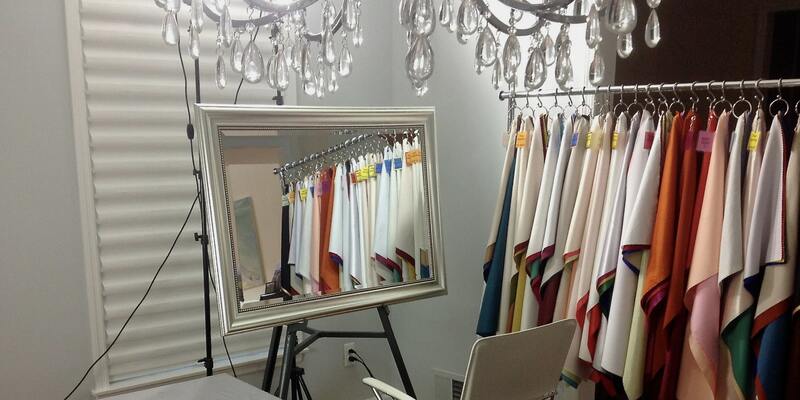 The drape colours are calibrated to the Sci\ART standard. Additions have been made to the Test drapes, which now contain 112 in total. White, red, yellow, green and blue are represented in every Season. 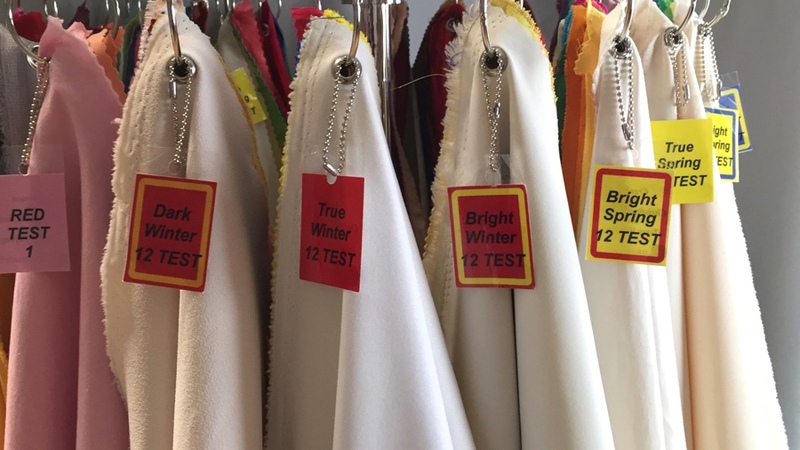 The Red Test drapes include 16 carefully selected colours, with all 12 Seasons represented. The drapes measure 18×34 inches – large enough to simulate the effect of garments and to evaluate the energetic equivalence (demanding equal visual attention) between the colour and the person. Colours are assessed one at a time, so we can measure the profound optical effects that each colour will have on the person’s face. Portable kits of 12 large fabric swatches (9”x4”) for each of the 12 Seasons, for assisting you in selecting your wardrobe neutral items, such as white, black, greys, browns and more. To see the collection, CLICK ON THE SQUARE. Always popular among our clients, these Season-customized cosmetics combine beauty with convenience. Explore the collection. CLICK ON THE SQUARE. This book provides even more in-depth information on personal colouring. You can find it here - CLICK ON THE SQUARE. 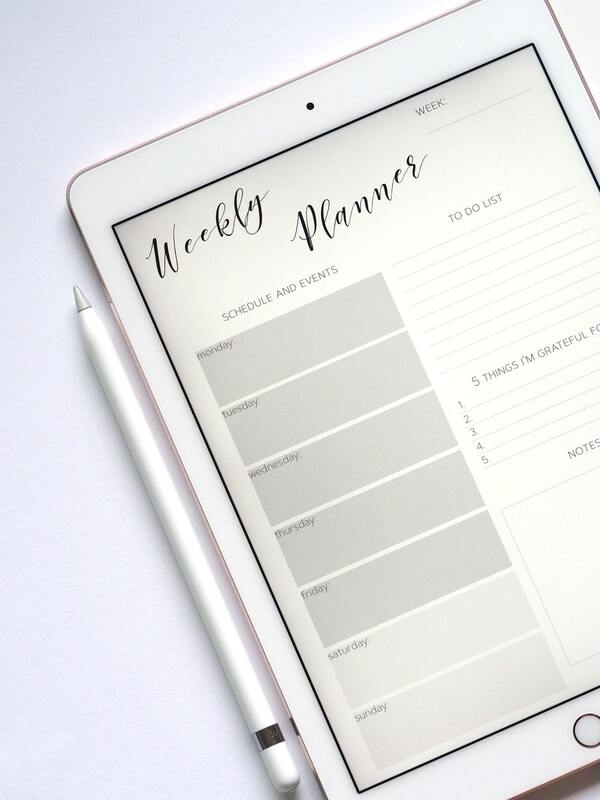 Even more client support and education via our blogs and other social media, including Facebook, Pinterest and Instagram.